Shakespeare400 is a season of cultural and artistic events across 2016, celebrating four hundred years of Shakespeare, his creative achievement and his profound influence on creative culture across the centuries. 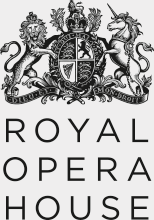 It is the collective endeavour of a consortium of leading cultural, creative and educational institutions in and around London, working closely together to express the impact of Shakespearean creativity on the widest range of artistic forms. The Shakespeare400 season includes theatre, music, opera, dance, exhibitions with an emphasis on creative curation, and a range of educational events to help new audiences engage with Shakespeare’s work. The season is designed to demonstrate the ongoing vibrancy of Shakespeare’s creative influence in national and global culture, and in the process to extend and enhance the legacy of the World Shakespeare Festival of 2012. Together, the consortium partners seek both to reflect on four centuries of Shakespeare-inspired creativity across all art forms and to look forward to the next hundred years in the global life of Shakespeare’s plays and poems. The season aims to treat all art forms engaged with Shakespeare equally – after all, Shakespeare’s influence extends far beyond the theatre – and partners have been particularly keen to champion work outside the limiting ‘heritage industry’ frame too often imposed on Shakespeare. A century ago, Sir Israel Gollancz, Professor of English Language and Literature at King’s College London, was the leading figure in the Shakespeare tercentenary celebrations of 1916, working hard to create the conversations and secure the necessary support for a celebration of the first three hundred years of Shakespeare’s creative influence – a celebration that, it was hoped, would be both local and global, emerging from London but reaching out across the world. The onset of the First World War, however, drastically limited what could be achieved – though the marking of the tercentenary nonetheless did take place both in London and across the world. Now, a century later, we have the opportunity again to consider the impact that Shakespeare’s writing has had on the collective imagination, not only in the English-speaking world but across the globe: the constantly changing responses to, and engagement with, the Shakespeare canon and the ways in which creative encounters with Shakespeare reflect and inform perceptions of national and international cultural life. It is fascinating to investigate all the ways in which creative culture has changed – in London, in the UK, in the world – since 1616, the year of Shakespeare’s death, and since the tercentenary of 1916. Shakespeare is no longer only London’s, or the United Kingdom’s, but a playwright and poet for the world. The Shakespeare400 season partners include some of the best of London’s creative and cultural sector: Barbican, Birmingham Royal Ballet, Bloomsbury Publishing / The Arden Shakespeare, British Film Institute, British Library, City of London, City of London Festival, Film London, Glyndebourne, Guildhall School of Music and Drama, Hogarth Shakespeare – from Vintage Books, King’s College London, London Philharmonic Orchestra, London Symphony Orchestra, Museum of London, Museum of London Archaeology, National Theatre, Rambert, Royal Collection Trust, Royal Opera House, Royal Society of Literature, Senate House Library, Shakespeare's Globe, The National Archives. The season as a whole is coordinated by King’s College London, with academics from the university’s London Shakespeare Centre contributing their literary-critical, historical, dramaturgical and curatorial knowledge to the season. 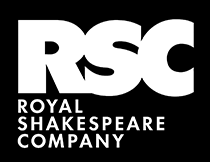 Deborah Bull, Assistant Principal (Culture & Engagement) at King’s College London comments, ‘We are very pleased to have brought together the diverse and dynamic range of partners that make up the Shakespeare400 consortium. The influence of Shakespeare on art, culture and society over the past 400 years cannot be underestimated and this is reflected in the rich programmes of activity and media listed on this central web resource. Professor Gordon McMullan, academic director of Shakespeare400 and director of the London Shakespeare Centre said, ‘The idea for Shakespeare400 emerged in the aftermath of the World Shakespeare Festival of 2012. I was working on Sir Israel Gollancz and his leadership – and thus that of King’s – of the Shakespeare tercentenary of 1916, and it seemed possible that King’s might again facilitate the celebrations in London. ‘I’m delighted by the support that the idea received throughout King’s and from potential cultural partners, as well as the remarkable willingness across the board to be involved in a shared project for 2016. We extended and developed the opening conversations, and the consortium as it is composed today began to emerge. Timeline copyright Hannah Crawforth, Sarah Dustagheer and Jennifer Young. Taken from Shakespeare in London (Arden, Bloomsbury, 2015). This major international publishing initiative will see 8 of Shakespeare’s plays reimagined by some of today’s bestselling and most celebrated writers. The new visions include Howard Jacobson’s The Merchant of Venice, Anne Tyler’s The Taming of the Shrew, Margaret Atwood’s The Tempest, Tracy Chevalier’s Othello, Jo Nesbo’s Macbeth, Edward St Aubyn’s King Lear and Gillian Flynn’s Hamlet. Jeanette Winterson’s retelling of Shakepeare’s, A Winter’s Tale. 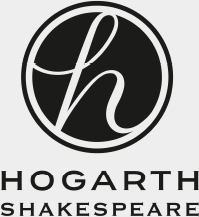 Published by Vintage as part of the Hogarth Shakespeare series. Available now. Hardback. Shakespeare in Music and Words. This brand new double album is the perfect introduction to the works of the world’s most famous playwright. The first disc features over an hour of music including works by Prokofiev, Tchaikovsky, Mendelssohn and Vaughn Williams. The second disc invites listeners to rediscover their favourite Shakespeare scenes and sonnets including Hamlet, Romeo and Juliet, Macbeth and The Tempest, as performed by acclaimed actors including Vanessa Redgrave, Christopher Plummer and Sir John Gielgud. The Royal Shakespeare Company presents two great romantic comedies in an innovative doubling, set either side of WW1. In Love’s Labour’s Lost, two sparring lovers are separated; in Much Ado, two sparring lovers meet again. Performed by a combined cast of British and French actors, award-winning theatre company Antic Disposition present their critically acclaimed adaptation of Shakespeare’s Henry V in Southwark Cathedral, London. Performed by a combined cast of British and French actors, award-winning theatre company Antic Disposition present their critically acclaimed adaptation of Shakespeare’s Henry V in Norwich Cathedral, Norfolk. Performed by a combined cast of British and French actors, award-winning theatre company Antic Disposition present their critically acclaimed adaptation of Shakespeare’s Henry V in Ely Cathedral, Cambridgeshire. Performed by a combined cast of British and French actors, award-winning theatre company Antic Disposition present their critically acclaimed adaptation of Shakespeare’s Henry V in Peterborough Cathedral, Cambridgeshire. Performed by a combined cast of British and French actors, award-winning theatre company Antic Disposition present their critically acclaimed adaptation of Shakespeare’s Henry V in Lincoln Cathedral, Lincolnshire. Performed by a combined cast of British and French actors, award-winning theatre company Antic Disposition present their critically acclaimed adaptation of Shakespeare’s Henry V in Southwell Minster, Nottinghamshire. Performed by a combined cast of British and French actors, award-winning theatre company Antic Disposition present their critically acclaimed adaptation of Shakespeare’s Henry V in Ripon Cathedral, North Yorkshire. Performed by a combined cast of British and French actors, award-winning theatre company Antic Disposition present their critically acclaimed adaptation of Shakespeare’s Henry V in Beverley Minster, East Yorkshire. Celebrating Shakespeare’s longstanding association with the town of Windsor and the royal court, the exhibition will show how generations of monarchs since Elizabeth I have enjoyed the work of Britain’s greatest playwright. Shakespeare’s coming-of-age romance is stunningly retold for the 21st century. Melly Still directs Gillian Bevan as Cymbeline, the first woman to take on the role for the RSC. Complementing our Cultures of Mortality Conference, Webster’s play is a tragedy of murder and sexual intrigue, greed and ambition. Part of the Read Not Dead: 1616 staged reading series. How did dramatists such as Shakespeare, Beaumont and Henslowe explore rituals of dying and the experience of loss on the early modern stage during a time when England was in mourning for Prince Henry. RSC Artistic Director Gregory Doran directs Antony Sher in one of the greatest parts ever written by Shakespeare. Verdi described Shakespeare’s play as ‘one of mankind’s greatest creations’ and his opera is fittingly brooding as we witness Macbeth falling from hero to troubled tyrant. Co-production with Northern Ireland Opera. This UK première is a potent attack on prejudice and feels like a deeply personal response to André Tchaikowsky’s experiences as a child in the Warsaw Ghetto in the 1940s. Published in the year of Shakespeare’s death, Visscher’s cityscape is an iconic depiction of medieval London and is displayed alongside artist Robin Reynolds' version of modern London. Join the RSC and King’s College London at the Barbican for a series of talks in November and December 2016 that look at King Lear’s most loyal subjects: The Fool, Cordelia and Kent. For who can wield like Shakespeare’s skilful hand? Bampton Classical Opera, renowned specialists in little-known operatic repertory, performs in concert two 18th-century rarities: Benda’s lyrical Romeo and Juliet and Linley’s colourful Ode on the Spirits of Shakespeare. We conclude our 1616 celebrations of Cervantes' influence on English drama with this witty and raucously funny play inspired by Don Quixote. Part of the Read Not Dead: 1616 staged reading series. Delivered in association with the Instituto Cervantes Londres and illustrated by Globe actors, this lecture celebrates the influence Cervantes' works had on 17th century English theatre. The Royal Shakespeare Company present two great romantic comedies in an innovative doubling, set either side of WW1. In Love’s Labour’s Lost, two sparring lovers are separated; in Much Ado, two sparring lovers meet again. In the beautiful setting of Gray’s Inn Hall and during the anniversary year of Beaumont’s death, Globe actors present a stage reading of this comedy that enjoyed numerous revivals in the 18th century. Antony Sher plays King Lear, one of the greatest parts written by Shakespeare in this, one of Shakespeare’s most epic and powerful plays. The plays for this year’s Back By Popular Demand honour the 400th anniversary of Philip Henslowe’s death. One of the many plays staged at the Rose will be re-created script in hand by Globe actors. Written by one of Shakespeare’s finest contemporaries, Jonson’s savage satire revels in just how vain we humans can be. Maria Aberg’s punchy production updates Marlowe for our times with ritual, cabaret and carnival. This production sees Sandy Grierson and Oliver Ryan share the roles of the doctor and the demon. In the historic setting of the medieval Vicars’ Hall in Windsor Castle, enjoy a moving and a humorous tribute to the man behind the cultural icon. Critically acclaimed writer and actor Gareth Somers performs his new one-man play, which portrays William Shakespeare in the last year of his life. Special family performances of A Midsummer Night’s Dream in the stunning Moat Garden at Windsor Castle.Bring a rug or cushions to sit on, and watch the performance unfold around you. Performances take place on selected evenings from 18 - 27 August 2016. In the atmospheric setting of St George’s Chapel at Windsor Castle, enjoy a performance of music from the age of Shakespeare given by students from the Royal College of Music. An illustrated talk by Yuriko Akishima, exploring the Shakespeare productions of renowned Japanese theatre director, Yukio Ninagawa. Presented by the Japan Foundation. Unperformed beyond the RSC’s Stratford-upon-Avon stage until now, musicians and actors bring Shakespearean scores by some of Britain’s greatest composers back to life. Presented by Southbank Sinfonia and the Royal Shakespeare Company. This installation will take visitors back in time to remember the Shakespeare Hut, a forgotten building built to commemorate the 300th anniversary of the bard’s death and to keep First World War troops safe and sound. The Machiavellian Sejanus' thirst for revenge causes a rift in court that threatens to bring down the state. Part of the Read Not Dead: 1616 staged reading series. This Keynote lecture will offer a personal response to the sources of Shakespeare’s verbal power and his rhetorical techniques from one of the world’s foremost Shakespearians, Professor Stanley Wells. Based on the book Shakespeare and the Digital world: Redefining Scholarship and Practice Christie Carson scrutinises her own work to illustrate the importance of speculating about the future. A landmark exhibition on the performances that made an icon, charting Shakespeare’s constant reinvention across the centuries. Over 200 unique and rare items such as the only surviving play-script in Shakespeare’s hand. This display of personal and household items has been brought together to mark the 400th anniversary of Shakespeare’s death. Items on display include a tennis ball, a watering pot, an ink-horn, posy ring and a pouncet-box. Each object is placed into the context of the time, directly referring to a quote from one of Shakespeare’s plays. The St-Omer Folio Folio - discovered in September 2014 - will be the centrepiece of a special exhibition which will place the 1623 volume in context of other important books and folios of the time. Award-winning theatre company Antic Disposition present a new production of The Comedy of Errors in the beautiful Gray’s Inn Hall – location of the first recorded performance of the play in 1594. Peter Hall’s enduringly popular 1981 production of Benjamin Britten’s version of A Midsummer Night’s Dream returns to Glyndebourne for its first revival in ten years. Berlioz’s Béatrice et Bénédict, adapted from Much Ado About Nothing, will have its fully staged Glyndebourne debut in a new production directed by Laurent Pelly. On display in the Curators’ Room is a rare First Folio and we see editions intended neither for scholarship nor plain reading, but for sheer beauty. 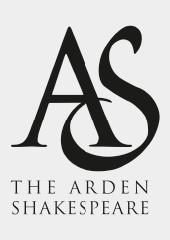 Mary Ann Kernan, explores the history of the Arden Shakespeare series from its launch in 1899 to its current inclusion in Drama Online as part of Bloomsbury Publishing. The Chances, based on Cervantes' Novelas Ejempleres, tells of the strange events of two Spanish men in pursuit of a famously beautiful woman. Part of the Read Not Dead: 1616 staged reading series. Join Southwark Cathedral for a unique exploration of William Shakespeare’s A Midsummer Night’s Dream. Studio Cultivate will investigate Oberon and Puck’s use of plants in creating much woodland mischief. Amanda Bevan has read Shakespeare’s will anew, looking not for character but for intentions, casting new light on how Shakespeare conducted himself as a husband, father, brother, grandfather and friend. The Lord Chamberlain’s Men Theatre Company present their touring production of Much Ado About Nothing in the magnificent setting of Windsor Castle’s Waterloo Chamber. This lively re-telling is performed by an all-male troupe in Elizabethan costume. Drama commemorating the centenary of the opening of the Shakespeare Hut for New Zealand soldiers in WW1. Staffed by local Bloomsbury women, the Hut staged performances of Shakespeare’s works from leading actresses of the day. In November 2014, within hours of the Saint-Omer copy of the Shakespeare First Folio having been authenticated, news of its discovery went viral. Prof Eric Rasmussen provides a fascinating insider’s account. An exhibition exploring the tradition of Hamlet productions at Kronborg Castle in Elsinore, produced by HamletScenen, Elsinore, and supported by The Danish Embassy. In this exhibition we explore the world in which Shakespeare lived and worked. Join us for a curator’s talk to find out more about the artefacts on display. The 2016 World Shakespeare Congress – four hundred years after the playwright’s death – will celebrate Shakespeare’s memory and the global cultural legacy of his works. Taking place in Stratford-upon-Avon and London. Shakespeare’s Globe, UC Davis and Shakespeare Theatre Association host a conference on Shakespeare for teachers, with keynote talks from world experts and tickets to Globe productions. Transatlantyk2 present their acclaimed new one-man play that recreates Shakespeare’s life, loves and works. Locked in a room at his Stratford home, the poet and actor conjures a final audience to pick through the “rinds and fruits” of his life. Globe actors present Ben Jonson’s study of personalities and mannerisms, based on the four humours of medieval physiology. Part of the Read Not Dead: 1616 staged reading series. Join Studio Cultivate for a unique exploration of William Shakespeare’s Romeo and Juliet. With the beautiful Southwark Cathedral and dramatic Bankside as a Verona stage set. This lecture will be exploring the work of some of the most prominent practitioners of the burlesque Shakespeare genre and considering the reasons for their success. Professor Martin Butler’s lecture tells the story of the publication of The Works of Benjamin Jonson (1616) and explores the tension between the literary and the theatrical in Jonson’s texts. This lecture will take the tale of Shakespeare in Cambridge down to our own times, including recent gifts to Trinity College. Directed by Donmar Warehouse Associate Director, Robert Hastie, experience Henry V in the unique outdoor setting of the Open Air Theatre (evenings 19:45 Mon-Sat; matinees 14:15 Thu & Sat). In association with The Japan Society and featuring Sir David Warren, this evening of talks and performances culminates in the Kabuki inspired 'Visions of Ophelia' by the renowned actress Aki Isoda. This evening is dedicated to exploring and celebrating the impact Shakespeare’s works have had on German culture. Listeners will be guided through the history of Shakespeare reception in Germany, with actors reading key texts in English and German. How did performing in royal palaces put demands on Shakespeare? Join distinguished Shakespearian scholar Professor Richard Dutton as he shares new research on Shakespeare’s creative life, followed by a glass of wine and a private view of the exhibition, Shakespeare in the Royal Library. Transporting King Lear to the story-rich and resource-laden terrain of northern Australia, The Shadow King reimagines Shakespeare’s tragedy as a blood-soaked tale of two indigenous families divided by land, identity and legitimacy. The Shakespeare Birthplace Trust (with Staffordshire University) recently excavated New Place, and it is now high time for a metamorphosis in Shakespearian biography, as well as for New Place itself, which is being newly presented for the 2016 anniversary year. Southwark Cathedral invites you to commemorate the 400th anniversary of William Shakespeare’s death in 1616 with fascinating, informative and revealing tours of Bankside and the Southwark church that he and his actor friends knew so well. Join us for an intimate and unique evening of study and performance as Professor Sir Brian Vickers leads an exploration of Shakespeare’s sonnets. Ever since Nicholas Rowe produced the first modern edition in 1709 there has been a continuous debate about Shakespeare’s text. In this symposium we will be addressing this issue with a series of studies covering the time span from then till now. Lucie Skeaping, presenter of BBC Radio Three’s Early Music Show, presents 'Singing Simpkin' & 'The Humour of John Swabber' - two short bawdy comedies with music. A semi-staged performance in period costume. From the first known buyer of Shakespeare’s collected works to the international press coverage of a new copy found in France, this talk asks how we might write the biography of a book. This lecture will consider the range and variety of productions and innovations some Victorian era performers introduced to portrayals of Macbeth. In Fletcher’s rarely performed tragicomedy, first staged in 1616, two young women adopt male disguises in the hope of pursuing their mutual love. Part of the Read Not Dead: 1616 staged reading series. Take the whole family on a journey to the woodlands of A Midsummer Night’s Dream in this special FUNharmonics family concert, presented by the London Philharmonic Orchestra and Globe Education. This talk will highlight the beauty of Shakespeare’s lines from his plays and sonnets with charming contemporary renderings of the plants he described so vividly. Join us at the British Council for the Shakespeare Lives exhibition, bringing together global activity from the British Council and the GREAT Britain campaign and a host of British theatres, museums, educators and artists. Rounding off the Globe’s series of Henslowe and Rose 1616 inspired events, teams of scholars and directors present their arguments for reviving one of the four plays first performed in the Rose. Pop into The Stage archaeology space and try your hand at being an archaeologist for the day or take part in theatrical workshops with The Malachites, Shoreditch’s Shakespeare company. The season will explore the inspirational influence of our greatest playwright on filmmakers across the world, featuring films from the silent era, award-winning adaptations and contemporary interpretations of the Bard’s work. In association with Dulwich College, Globe Exhibition displays gifts from Edward Alleyn, Philip Henslowe’s son-in-law, that give unique insight into the man and the Rose playhouse that he ran. A once-in-a-generation exhibition of nine carefully selected documents relating to Shakespeare’s life, including his will, and a digital installation from 59 Productions. The exhibition is presented by King’s College London and The National Archives. Professor David Crystal OBE marks the 400th anniversary of Henslowe’s death by exploring his diary in original pronunciation with the support of Ben Crystal’s Passion in Practice theatre company. Honorary President of the Shakespeare Birthplace Trust, Professor Stanley Wells, examines the Bard’s professional and personal links with the capital. Excavations of Shakespearean playhouses reveal fascinating stories about acting, theatres and theatregoing in the 16th and 17th centuries. Hear what new tales archaeology has revealed. This presentation will draw on the discussion of the very public debate over the Library’s proposed sale of a set of Shakespeare folios in 2013 and the figure of Shakespeare to explore the conflicted function of libraries today. Home to Shakespeare’s Globe, The Rose, Southwark Cathedral, and The George Inn, Bankside will celebrate Shakespeare’s legacy in the area with a series of walks, theatre and themed menus. Ben Crystal’s company, Passion in Practice, present a staged reading of Dr Faustus in Original Pronunciation followed by a Q & A with Ben, the cast and Professor David Crystal OBE. Leading international theatre scholars and archaeologists mark the anniversary of Henslowe’s death by sharing the latest discoveries on the theatre which staged plays by Shakespeare and Henslowe. Part of a nationwide tour, this production combines eighteen RSC professional actors and fourteen amateur theatre companies from around the UK, selected to play Bottom and the Mechanicals. London was the centre of Shakespeare’s world, where he lived and worked and the setting for many of his plays. But what was it like?Come and explore this strange and fascinating place and hear the voices of tourists and travellers who were amazed, baffled and delighted by the city. Prof Grace Ioppolo will look at the controversial events of Henslowe’s deathbed on 6 January 1616 that demonstrate the wide-ranging cultural power and financial success of theatre in Shakespeare’s England. Crime, roguishness, Shakespeare’s Curtain Theatre, its players and the Shoreditch theatrical scene are brought to life in this walking tour with writer Jon Kaneko-James. This talk explores highlights of the Curtain Theatre, one of the most enduring theatres in Elizabethan London, from Shakespeare’s romantic comedies to lost plays like Henry the Unable. A staged, period-instrument performance of Arne’s Garrick Ode and a new Ode written by the Poet Laureate, Carol Ann Duffy, and composed by Sally Beamish for Ex Cathedra, children’s choir and a ‘broken consort’ of instruments that Shakespeare would recognise. This talk will explore how Shakespeare adapted, stole, and metamorphosed The Book of Common Prayer. The Royal Library holds Charles I’s annotated copy of Shakespeare’s works and unique records of performances and works of art. Join Librarian and Assistant Keeper of the Queen’s Archive, Oliver Urquhart Irvine, for an introduction to the Shakespeare exhibition at Windsor Castle, followed by a private view and a complimentary glass of wine. This talk considers how Shakespeare’s text has evolved over the last 400 years, examining theories about the purpose of editing and narratives about the origin of Shakespeare’s text and how its transmission into print vary over time. Join us as we build a Tower of Babel using live performance and multimedia scenes adapted or translated from The Merchant of Venice, Love’s Labour’s Lost, and Henry V.
Smoking, drinking - a trip to the theatre in Shakespearean London. This talk looks at the latest archaeological evidence for the entertainment in Shakespeare’s time, throwing new light on theatre. Wander through Shakespeare’s Shoreditch visiting the famous playhouses taverns and “entertainments” frequented by leading playwrights and actors of the day. Dive into the hearts, minds, ears and words of Shakespeare’s world, with actor Ben Crystal, to find out what it was like going to the theatre in Shakespeare’s time. Professor Gordon McMullan will reflect on the intersection of the Shakespeare Tercentenary and the First World War. In association with publisher Random House, artist Ralph Heimans has produced a series of portraits of celebrated authors who have been commissioned to rewire a Shakespeare play in prose as part of the Shakespeare400 celebrations. Shakespeare’s Henry V, Henry VI and Richard III became modern-day political leaders, all their fates unfolding in this single, radical adaptation. This one-day symposium explores the relationship between modernist thinking, scenography, art and literature in the early to mid-twentieth century, posing questions about modernism’s legacy for Shakespeare production and scholarship today. Explore Shakespeare’s London with an expert Museum of London guide. From his Silver Street home to picturesque settings you'll recognise from film, you'll visit riverside theatreland and the City streets that inspired his plays. In a rousing finale to our Shakespeare celebrations, the Royal College of Music Big Band performs Duke Ellington’s Such Sweet Thunder, based on the work of William Shakespeare. June 1945. The war in Europe is over. Benedick and his younger friend Claudio have returned, eager to lose themselves in partying the summer away. But a very different kind of battle is brewing, and this time their foes are Beatrice and Hero. Our two soldiers are clueless when it comes to affairs of the heart, and victory is no longer assured. After the success of their first production RECKLESS - Heady Conduct bring Shakespeare’s dramatic comedy Measure For Measure to The Rose Playhouse, using their distinct mix of style and originality, utilising the genius of Shakespeare’s writing to maximum effect. Award-winning theatre company Antic Disposition present their critically acclaimed adaptation of Henry V in Holy Trinity, Stratford-upon-Avon, with the tomb of Shakespeare himself forming a magnificent backdrop to the production. 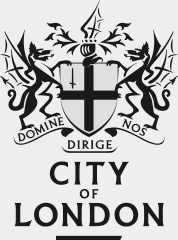 This talk, by Dr Lucy Munro, explores alternative views of London through the works of Francis Beaumont who - like Shakespeare - died in 1616 and whose play The Knight of the Burning Pestle is a hilarious parody of different ways of writing about the city. Crime, roguishness, Shakespeare’s Curtain Theatre the Shoreditch scene are brought to life in this walking tour with writer Jon Kaneko-James. Performed by a combined cast of British and French actors, award-winning theatre company Antic Disposition present their critically acclaimed adaptation of Shakespeare’s Henry V in Worcester Cathedral. Join characters from Shakespeare’s Twelfth Night for this fun, promenade performance, specially commissioned for the V&A’s historic 1500-1760 Galleries, and featuring famous items from the V&A collections. Performed by a combined cast of British and French actors, award-winning theatre company Antic Disposition present their critically acclaimed adaptation of Shakespeare’s Henry V in Gloucester Cathedral. Performed by a combined cast of British and French actors, award-winning theatre company Antic Disposition present their critically acclaimed adaptation of Shakespeare’s Henry V in Bristol Cathedral. This talk traces how, from inauspicious beginnings, the University Library came to boast early Shakespeare holdings as a major strength. Leading directors in the theatre world punctuate this presentation on recent productions of Shakespeare plays and their relevance to modern London life. Discover Shakespeare’s work with our free, interactive walk. 37 specially-made short films, starring the UK’s best actors and shot in worldwide locations, will be screened along a 2.5 mile stretch between Westminster and Tower Bridge. In this remarkable seven hour poetry marathon, the Live Canon ensemble will launch a new publication of poems by 154 contemporary poets, each responding to one of Shakespeare’s 154 sonnets. Join us for a free screening of Macbeth, recorded at the Trafalgar Studios in April 2013 for the National Video Archive of Performance, starring James McAvoy, directed by Jamie Lloyd. Join award-winning director Phil Willmott and actress Ursula Mohan, for a conversation and performance that examines Lear’s troubling play, as told from the point of view of a woman. Join comedian Arthur Smith as he reveals the truth about Shakespeare’s first publishers. Arthur will be joined by Jane and Rick Jones who perform lute songs from some of Shakespeare’s plays. Wander through Shakespeare’s Shoreditch, visiting the famous playhouses taverns and “entertainments” frequented by leading playwrights and actors of the day. In a special gala marking the 400th year since Shakespeare’s death, join the London Philharmonic Orchestra in music interspersed with readings from the plays that inspired them, directed by Simon Callow. On the 400th anniversary of Shakespeare’s death, award-winning theatre company Antic Disposition present their critically acclaimed adaptation of Shakespeare’s Henry V in Sherborne Abbey, Dorset. It’s World Book Night and Shakespeare’s birthday, celebrate at the British Library. The date also marks the 400th anniversary of his death. Visit for a night of festivities in honour of our greatest writer. Performed by a combined cast of British and French actors, award-winning theatre company Antic Disposition present their critically acclaimed adaptation of Shakespeare’s Henry V in Salisbury Cathedral. A special Midnight Matinee of Much Ado About Nothing to mark exactly 400 years since Shakespeare took his last breath. This will therefore be the first production on Bankside to take place on the date of his death. Coinciding with the return to London of Shakespeare’s Globe’s world tour of Hamlet, this symposium celebrates the range and diversity of Shakespeare intercultural performance and its critical implications. Ailsa Grant Ferguson of the University of Brighton explores the early history of the National Theatre, and the key influence of Shakespeare’s works as part of that. A festival of art, poetry, music and on-stage discussions devoted to Shakespeare’s final, and most magical play, The Tempest. Daniel Rosenthal, author of The National Theatre Story, explores a series of landmark productions at the National Theatre, illuminating the work of directors and actors. Nicholas Hytner, former Director of the National Theatre talks to Abigail Rokison-Woodall about his enormous contribution to the history of Shakespeare at the National Theatre. Alongside film clips from the BBC’s The Hollow Crown, a discussion on the idea of Shakespeare as our contemporary, with Dominic Cooke and Ben Power (recent collaborators on the series). Join acclaimed storyteller Seema Anand on a journey of stories about the trials and tribulations of Shakespeare’s audiences – dying to go the theatre! The National’s Flytower becomes an outdoor cinema, showing the film that earned the NT’s first Director, Laurence Olivier, a special Academy Award for outstanding achievement as actor, producer and director. In the week that marks the 400th anniversary of the death of the world’s most famous playwright this talk will explore Shakespeare’s legacy through the V&A’s Theatre & Performance Collections. Actor Lenny Henry, who played Antipholus of Syracuse in The Comedy of Errors at the NT, explores the themes of migration and exile in Shakespeare’s play with journalist George Alagiah. Actor Clare Higgins, who played the role of Gertrude in Hamlet at the NT in 2010, explores the themes of family and gender in Shakespeare’s play with writer Julie Myerson. This talk examines the ways in which Shakespeare has been re-imagined in Dutch, looking at how translators and adaptors have responded to the political issues in his plays. Performed by a combined cast of British and French actors, award-winning theatre company Antic Disposition present their critically acclaimed adaptation of Shakespeare’s Henry V in Christchurch Priory, Dorset. Performed by a combined cast of British and French actors, award-winning theatre company Antic Disposition present their critically acclaimed adaptation of Shakespeare’s Henry V in Winchester Cathedral. Actor Simon Russell Beale, who played King Lear in 2014 at the NT, explores how the themes of memory and ageing are explored in Shakespeare’s play with Prof Simon Lovestone. 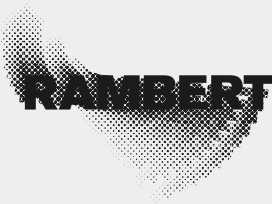 A new, free exhibition from the National Theatre Archive, featuring recordings, props, designs, costume and more from the NT’s five main-stage productions of Hamlet. An exploration of the real life events of the Agincourt campaign and Shakespeare’s most resilient play, Henry V, set against the tumultuous political events of the day. Globe to Globe is a unique, unprecedented world-tour of Hamlet by Shakespeare’s Globe. Join us to hear about this extraordinary show, and the adventures the company had along the way. Set in the vice ridden world of early Jacobean London, Jonson’s dark comedy follows the young demon, Pug, as he carries out Satan’s work. Part of the Read Not Dead: 1616 staged reading series. The conference will consider the relationship between words and music in aesthetic and scientific terms, and how it affects the relationship between actor and audience then as now. Bear bones, stage effects and the original box office smash. Delve into the world of Shakespeare and handle artefacts discovered at London’s Elizabethan theatres. This engaging tour of rarely-seen artefacts lasts for 90 minutes. Think you know Romeo and Juliet? Professor Gordon McMullan, academic director of Shakespeare400, will address some of the myths around the story and will show just how different the play can be. How did Shakespeare get from there (the Elizabethan and Jacobean stage) to here (the global icon) and where will he go in the next hundred years? Witness the ground-shaking depiction of Shakespeare’s Montagues and Capulets, and the young love that blossomed out of hatred as the London Philharmonic Orchestra performs excerpts from Prokofiev’s Romeo and Juliet, conducted by Jaime Martín. Dr. Peter Ross (Guildhall Library Principal Librarian) will look at the various books printed at the time of Shakespeare’s First Folio, the plays and the play-writes. Includes a look at the First Folio. A discussion, debate, and Q&A session on the place of theatre in Elizabethan culture and its nature, with leading academics from Roehampton and Chichester. A series of rare and silent Shakespeare films from the dawn of cinema. Young musicians from the London Philharmonic Orchestra Soundworks ensemble join dancers from Quicksilver, Rambert’s youth dance company, to present a collaborative performance piece inspired by Shakespeare’s works. Award-winning theatre company Antic Disposition present their critically acclaimed adaptation of Henry V in the spectacular Middle Temple Hall, the very space where Twelfth Night was first staged in 1602. Michael Wood, presenter and author discovers Shakespeare’s passion for the plays and poems and discusses his research into the life and works of the elusive playwright. This talk, by Dr Sarah Dustagheer, considers the play’s production at the Blackfriars playhouse, a small candlelit indoor hall that Shakespeare’s company used from 1609. See the rarely displayed deed for a property in Blackfriars which Shakespeare purchased in 1613, one of only six surviving documents to carry his signature. Displayed alongside Shakespeare’s First Folio. Explore what archaeology reveals about the earliest, and some of the most successful Shakespearean playhouses, in London’s first theatre district, Shoreditch. Magic, love, and mischief abound in Shakespeare’s best-loved comedy. Performed with the gender of each character switched this new and important re-telling is Dream, but not as you know it. Using the sonnets as springboards, this new, devised piece explores the theatre, acting, passions and politics of Shakespeare’s life. Performed by actors from the Guildhall School, directed by Patsy Rodenburg. Bear witness to a full blown Shakespearean trial of one of Shakespeare’s most important texts on justice, law and mercy: Measure for Measure. This conference restores Beaumont to the critical limelight and reassess his contributions to Jacobean drama and poetry, and his relationship with his long-time collaborator John Fletcher. Edward’s Boys, an all-boy theatre company comprising students from King Edward VI School, perform Beaumont’s first play 'The Woman Hater' at King’s College London. Two days as illuminating, boisterous and subversive as Shakespearean drama, we bid you welcome to an activity-packed Barbican Weekender. Shakespeare’s The Tempest is set in new surroundings in this performance of vocalist and composer Clara Sanabras’s new album A Hum About Mine Ears. More than a simple soundtrack to the play, A Hum About Mine Ears takes some of The Tempest’s ideas and themes – loss and retrieval, exile and reunion, relating them to Sanabras’s own experiences as an emigrant. Forced Entertainment brings you the Complete Works like you’ve never seen it before, each of Shakespeare’s 36 plays condensed and presented on a tabletop using a cast of everyday objects. Few pieces of music can rival the sheer drama of Prokofiev’s ballet score for Romeo and Juliet. Junior Guildhall performs excerpts from this master work, interspersed with scenes from the play. Musicians from the London Philharmonic Orchestra’s Foyle Future Firsts Development Programme present a feast of chamber music celebrating Shakespeare’s life and works. See Guildhall illuminated with extraordinary effect, accompanied by compositions from Guildhall School of Music & Drama, to celebrate the City’s collections of Shakespeare. Visit Guildhall Art Gallery late for exciting Shakespeare exhibitions. A morning watching Gianandrea Noseda rehearsing Berlioz’s Romeo and Juliet suite with the LSO at the Barbican, followed by an afternoon of chamber music and talks at LSO St Luke’s. Guildhall School musicians perform a free concert of songs based on Shakespeare texts, including Korngold’s Nine Shakespeare Songs, Op. 29 & Op. 31 and R. Strauss Drei Ophelia Lieder, Op. 67. Gianandrea Noseda guides the LSO through a performance of Berlioz’s magnum opus the Romeo and Juliet Suite inspired by Shakespeare’s tale of two star-crossed lovers. A free Friday Lunchtime concert at LSO St Luke’s featuring music and words celebrating 400 years of Shakespeare with presenter Rachel Leach. Dr Lucy Munro of King’s College London will be joined by actors and musicians to explore two landmark productions of Macbeth through visual material, performed extracts and music. Join the London Philharmonic Orchestra, led by its Principal Guest Conductor Andrés Orozco-Estrada, as madness and corruption dramatically unfolds in a performance of Richard Strauss’s musical adaptation of Macbeth. In the four hundred years since Shakespeare’s death, the Sonnets have invited imitation, homage, critique, parody and pastiche. These new poems probe our relationship to the Sonnets' intricate form and ambitious scope, their investigation of sexuality, wit, memory and poetic survival. Hardback, 112 pages. Available now. Gianandrea Noseda leads the LSO through a programme of works inspired by Shakespeare’s histories and tragedies, including Smetana’s Richard IIl,Tchaikovsky’s fantasy-overture Romeo and Juliet and Strauss’ dramatic Macbeth. Sir John Eliot Gardiner will lead the LSO and his Monteverdi Choir in a performance of Mendelssohn’s incidental music to Shakespeare’s play A Midsummer Night’s Dream. Still Shakespeare is a slate of five artists’ short animated films. Developed in partnership with London Shakespeare Centre at Kings College London, animation company Film Club at Th1ng and Sherbet. A lecture by renowned Shakespearean and Yale Professor Kastan reflecting on the materials in the 'By Me William Shakespeare' exhibition. Acclaimed Shakespearean actor Simon Russell Beale talks to Sonia Massai, professor of Shakespeare Studies at King’s, about his career so far, the challenges of playing Shakespeare’s most famous characters, and his love of the text. A lecture by Lena Cowen Orlin, followed by an exploration by professional actors and King’s academics of the glimpses we see of Shakespeare’s life through the brief records he left behind. Ann Thompson and Neil Taylor describe the critical reception their original edition of Hamlet provoked. Their talk will be illustrated by actors performing excerpts from the play in its various texts. A multidisciplinary reflection on the character Tom O’Bedlam in song, drama, history and lived experience. Renowned Shakespeare scholar Marjorie Garber (Harvard University) talks about the quest to find something about Shakespeare that would explain his astonishing accomplishment. A lecture by Professor Gordon McMullan, Director of the London Shakespeare Centre. An intriguing talk by Jonathan Hope of Strathclyde University, looking at how we analyse Shakespeare in the Digital Age. Oliver Urquhart Irvine, Royal Librarian, discusses Shakespeare in the Royal Collections at Windsor, while Sonia Massai, Professor of English, King’s College London, explores global adaptations of The Merry Wives of Windsor. Join the London Philharmonic Orchestra as Osmo Vänskä conducts Nicolai’s rousing and tuneful Overture to The Merry Wives of Windsor –invoking the larger-than-life characters of Windsor in Shakespeare’s comical play. A Q&A with James Shapiro of Columbia University, in conversation with Gordon McMullan. This evening the RSL celebrate the publication of the anthology, On Shakespeare’s Sonnets: A Poets' Celebration, at King’s. Ten contemporary poets will read and discuss their work. Chaired by scholar Margreta de Grazia. Ashley Riches and Emma Abbate will perform a selection of Shakespeare songs by various 20th century composers. Combines popular works and lesser-known gems. GCSE student composers showcase new music that they have written, inspired by Sibelius’s The Tempest. Part of the London Philharmonic Orchestra’s New Horizons Education & Community programme. Join a panel of experts who examine the idea of ‘late style’ and its association with the last works of creative minds including Sibelius, Beethoven, and of course, William Shakespeare. Celebrating 150 years since the birth of the Finnish composer Jean Sibelius, Osmo Vänskä conducts his own arrangements of excerpts from the orchestral suites of Sibelius’s rich and imaginative, The Tempest. LSO Discovery Family Concert: Play On, Shakespeare! The LSO presents a Family Concert inspired by Shakespeare performed by the full LSO accompanied by a cast of actors – expect love, war, laughter and magic. Pandosto, the novel which inspired The Winter’s Tale, explores the corrosive effect of jealousy on a ruler, his family and his kingdom. Part of the Read Not Dead: 1616 staged reading series. Join Professor Russ McDonald, Goldsmiths, and Professor Clare McManus, University of Roehampton, as they reflect on Othello’s popularity with adaptors and composers, and its influence on perceptions of ethnicity, religion and gender. Join the London Philharmonic Orchestra, led by Yannick Nézet-Séguin, to experience the love, jealousy and other powerful emotions that propel the character’s actions throughout Shakespeare’s timeless play in Dvořák’s Othello. Filmed on location in an abandoned seminary in north London, this striking television film captures the essence of Gregory Doran’s 2008 modern-dress staging. Standouts include David Tennant, Patrick Stewart, Penny Downie, Mariah Gale and Oliver Ford Davies. England’s great playwright has been an inspiration to many composers. This concert takes us on a tour of Shakespeare settings with origins as far apart as England, Finland and Hungary. A free orchestral concert featuring the London premiere of John Barnard’s ‘Overture Shakespearian’ and Vaughan Williams’ ‘Serenade to Music’, which takes its text from 'The Merchant of Venice'. Hear parts of Shostakovich’s darkly satirical film score for the Russian director Grigori Kozintsev’s 1964 adaptation of Shakespeare’s Hamlet. It will be performed by musicians from the London Philharmonic Orchestra’s Foyle Future Firsts Development Programme. A richly visual imagining of the play, shot in stylised settings and vivid colours, and presented as if dreamt by a young boy. Based on Adrian Noble’s 1994 staging, this is a triumph of lush design (by Anthony Ward) and immaculate performances. RSC’s King and Country will see Richard II, Henry IV Parts I & II and Henry V performed in repertoire as a complete four-play cycle. There are four complete cycles of performances of King and Country, bookable only as a four-play season package. A lighting installation developed by the Royal Shakespeare Company. Inspired by the set design for the plays, the installation explores the use of creative stage lighting and projections in the productions. Peter Brook’s vision of the tragedy was filmed in black-and white against the snow-covered landscapes of Denmark’s North Jutland. It divided the critics at the time (Pauline Kael 'hated' it), but its existential drama has a spare grandeur. Conductor Laureate Sir Andrew Davis takes on Berlioz’s complete ‘dramatic symphony’, a re-telling of Shakespeare’s indelible tragedy, with the BBC Symphony Orchestra and Chorus. From Arne to Tippett, via Schubert and Vaughan Williams, song composers have responded vividly to Shakespeare’s own lyrical genius. Hear them in all their variety in this meticulously made recital. One of the earliest hits for the newly established RSC, Michael Elliott’s sparkling version of Shakespeare’s comedy is still remembered with joy by a generation of theatre-goers. BBC Television’s Theatre Night strand’s powerful version of Trevor Nunn’s 1989 intimate production, originally seen at The Other Place. Features Ian McKellen, Willard White, Imogen Stubbs and Zoe Wanamaker. The setting suggests the American Civil War. Join the RSC for a series of talks where we focus on Shakespeare’s portrayals of Richard II, Henry IV and Henry V. Current cast are joined by past notable actors to discuss their personal views on the characters. Shakespeare-related songs and lute solos by Johnson, Banister, Morley and Purcell, inspired by the great poet-playwright in his 400th anniversary year, performed by countertenor Iestyn Davies and lutenist Elizabeth Kenny. Ian Holm’s compelling, chameleon-like King Richard is at the centre of this innovative BBC recording. And, there are wonderful performances also from Janet Suzman (Lady Anne) and Eric Porter (Richmond). The premiere of a newly restored BBC recording, once thought lost, of the first great RSC History plays cycle. Filmed using innovative techniques on the stage at Stratford-upon-Avon. The premiere of a newly restored BBC recording, once thought lost, of the first great RSC History plays cycle. Peggy Ashcroft blazes across the screen as Queen Margaret in this brilliant production. Discussion introduced by curator John Wyver that explores a wide range of questions about the RSC’s involvement with film and the challenges of translating stage productions to the screen. Panel chaired by Judith Buchanan with current RSC artistic director Gregory Doran. Filmed on three cameras for American television in the theatre in Stratford-upon-Avon, but seemingly never broadcast, this is a precious and rarely-seen partial record of Peter Hall’s acclaimed staging. Graced by fiercely thoughtful performances from Judi Dench and Ian McKellen, Trevor Nunn’s intense and intimate production, originally staged at The Other Place, was recorded in an almost bare television studio. The members of the Gould Piano Trio perform wordless music inspired by Shakespeare, from composers Schumann, Korngold and Beethoven. Baz Luhrmann’s interpretation of Shakespeare’s Romeo and Juliet has teen stars, a killer pop soundtrack and stunning visuals. It is screening 4 times at the BFI this holiday season. Shakespeare400 is a consortium of leading cultural, creative and educational organisations, coordinated by King’s College London. King’s College London accepts no responsibility for the content of external websites. Shakespeare400 is proud to be working with the British Council and the GREAT Britain campaign in 2016.